The Unit is open from 8.00 am until 5.00pm, 5 days a week. Some of our patients are elderly/frail or on medications that can suppress their immune system. These patients are especially vulnerable to catching infections. Please remember to use alcohol gel on your hands when entering or leaving the Unit, to assist with infection control. The gel is available at the entrance to both areas. • Children are welcome to attend with their parents/ carers’, if there is no alternative childcare. However, please consider the potential of them getting upset, as the unit is a busy/ overwhelming place, with some patients attending with significant diseased skin conditions, i.e. skin cancers. • It may be necessary to get the child to sit elsewhere during the consultation if we need to carry out a procedure or attend to other clinical needs. • Please switch mobile phones off before entering the unit. Communication with the Dermatology Medical Team and Nursing Team. If you feel you need to speak to a Doctor and do not have an appointment you can telephone and speak to the Medical Secretary (see contacts below). 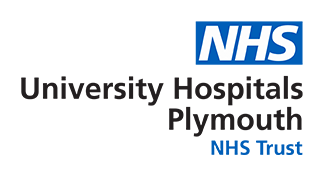 There are nurses in the unit who may be available to speak to you, ask the receptionists if you are attending the unit or telephone reception (see contacts below). The main entrance into the hospital on level 6 has hot and cold drinks facilities, visitor toilet, and a telephone point. There is also a water fountain in the unit. Please help our domestic staff to keep the waiting areas clean and tidy by leaving them as you would wish to find them. Please do not leave valuables unattended. There are toilets for patients and carers on the unit in Rowan House. There are changing facilities for a babies and a disabled toilet. Secretary for Dr Chave, Dr Wilkinson & Dr Brudnik – 01752 437026. Secretary for Locum Cons Dr Sboukis, 01752 431287. Secretary for Locum Cons Dr Bozi 01752 437109. Secretary for Dr Ne Win 01752 432391.